In Bari in Southern Italy we meet Guido Guerrieri; a forty-something lawyer with a non live-in girlfriend and an introspective approach to life. A policeman friend of Guerrieri’s calls on him one day and brings with him a nun with a story to tell. The story is about Martina, a volunteer who works at the women’s shelter the nun runs. Martina wants to bring a civil case of assault and battery against her ex-boyfriend who has beaten her multiple times. Two other lawyers have turned down the case because the man accused is the son of a powerful local judge and anyone who takes on the case is risking an end to their own professional career. Partly because he is unable to say no in the presence of the strangely intriguing nun, Guido agrees to take on the case. At only just over 200 pages (positively tiny in today’s environment) this unassuming little book packs an unexpectedly powerful punch. 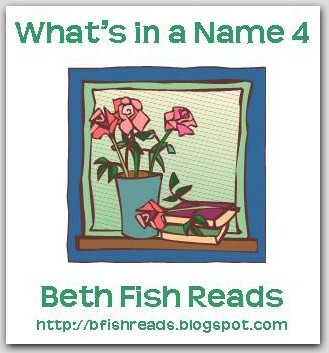 The author manages to bring something new to the all too frequent tale of an abused woman in a number of subtle ways. Firstly, although Martina’s case is at the centre of the story the woman herself is not. Readers see events through Guido’s eyes and those of Sister Claudia more than they do through Martina’s. This does not diminish her or the grimness of her situation but it does offer a less common perspective. The problems of achieving a positive result in this kind of “he said, she said” case, especially when there is an overarching potential for corruption due to the man’s connections, are starkly drawn and really highlight the difficulties that women in these situations must face. In a fraction of the length of lesser books we get a very real sense of the inner strength it took for Martina to take legal action and the practical difficulties involved in protecting her and obtaining justice. It is terribly moving though sad to be reminded that there is a need for places called women’s shelters the world over. The other standout feature of the novel is the nicely developed characters, particularly of Guido and Sister Claudia. While not the tortured, loner, alcoholic endemic to crime fiction Guido does have his demons including a strong belief in his own cowardice. His intermittent insomnia, and the late night walks which are his treatment, provide for some touching introspection of the kind that only the wee small hours can bring. They counterbalance nicely Guido the non-corrupt lawyer who must use some creative manoeuvres to bring his cases to successful conclusion against a system in which there is a lot of corruption and nepotism. Sister Claudia, a martial-arts practising nun, has more than her fair share of troubles too and is an interesting character added to this mix. Given that on several occasions I stopped to re-read sentences or passages just because I liked the way the language sounded I’m proposing that the translation by Howard Curtis is an excellent one though my own knowledge of Italian is far too rudimentary to really know. In fact the only down note to this review is my own annoyance at having been so long in discovering this terrific author. I loved the book’s combination of thoughtful legal procedural and journal of a man’s life and thoughts so much that I’m not even going to complain too much that it made me embarrass myself in public. The ending surprised and angered me (on behalf of the characters not due to any lack of quality in the storytelling) and the several loud sobs I tried (unsuccessfully I think) to pretend were the result of hay fever as I sat on a crowded bus generated furtive glances from my fellow passengers. I highly recommend this book (though perhaps one to be read in the privacy of one’s own home). This entry was posted in book review, Gianrico Carofiglio, Italy. Bookmark the permalink. I’m glad you have enjoyed this one Bernadette. 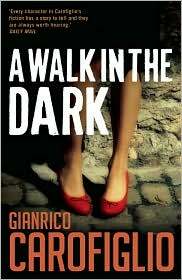 I do like the Guido Guerrieri series very much and it’s always nice to find good books under the 300 page mark. This is a great series. I’ve read this one and the first one which is excellent, introducing us to Carogiflio’s very decent defense attorney. He has principles and does the right thing but has human foibles, although he is not a depressed alcoholic. That is a relief. This was a good plot line. I also was upset with the ending but I wasn’t in public. (I actually just cried at the end of Mercy or The Keeper of Lost Causes for different reasons.) The library has the third one, which this review just reminded me to reserve. And the fourth one is listed. Carofiglio is a fresh voice in the legal thrillers’ genre. His defense attorney is unique. His stories are told differently from what I’ve usually seen in the States. I hope he keeps this series going for years. So glad you enjoyed this one, Bernadette, because the next two are just as good 😉 (well, I think so). It is so great to read a book that really engages the emotions and box of tissues! It is a while since I read this book and the next ones, so I have forgotten some details, therefore thanks for the excellent review to remind me. One of the things I like about the protag is his love of reading and his relationship to books. There seemed to be a long gap after #3, during which I read his standalone which I also enjoyed very much. The fourth in this series has just been published in the UK and my copy arrived yesterday 😉 (Temporary Perfections). It is interesting to compare the protag of these novels with the more irascible (but also book-loving) Montalbano of Camilleri’s novels. Both series have very different ways at looking at endemic, institutionalised corruption. And then there’s Guido Brunetti’s love of books, largely Roman classics, histories. Leon’s books usually reveal institutional corruption which Brunetti observes. He does his job, finds the culprits, but usually due to corruption, good connections to officials or just government inaction, no one is arrested or tried. Bernadette – Thanks for this excellent review. Carofiglio has a lot of talent and I think you’re quite right in saying that the characters are especially well-drawn. And yes, it’s always nice isn’t it when a really fine book doesn’t require an entire sawmill to process enough trees to create it. It sounds like the author has done a great job putting a lot into such a small book. I love a book that looks little and unassuming, but the character development and story are so well formed that you can’t help but admire how well the author has done.